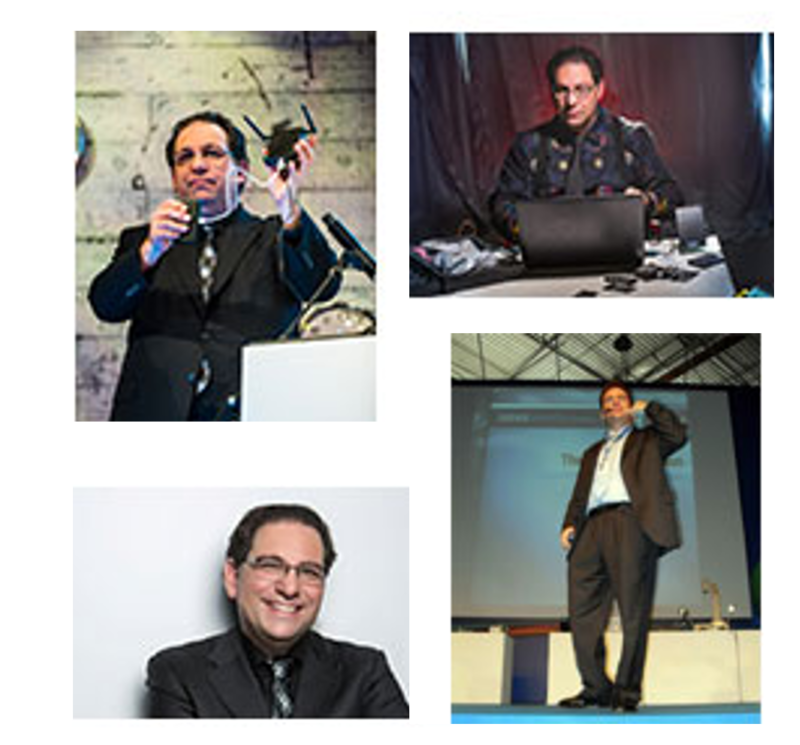 Kevin Mitnick is perhaps best known as the hacker who made it onto the FBI’s Most Wanted List for breaking into the computer systems of multiple government agencies and over 40 major corporations. Mitnick was a fugitive for four years, and after getting caught was put on trial and sentenced to five years in a federal prison, including a year in solitary confinement. Since leaving prison, Mitnick has changed tack. He still hacks, but now works as a whitehat hacker whose consultancy firm helps clients find the vulnerabilities in their systems so that cyber-criminals don’t find them first. 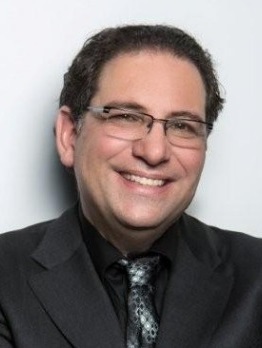 Mitnick also serves as Chief Hacking Officer for KnowBe4, a company that trains employees of organisations to spot vulnerabilities, including their own. He has authored four books: The Art of Intrusion, The Art of Deception, Ghost in the Wires, and The Art of Invisibility. He also goes on speaking tours all over the world. His website lists 29 destinations just in the first 10 months of 2018. During these tours, he shows people the tradecraft that’s “used by the bad guys to compromise their businesses and their personal systems and what steps to take to mitigate the risk, so they do not become victims,” he says. The World’s most famous Hacker, Kevin Mitnick, has agreed to attend Cyber Incursion as our guest speaker and will be delivering a keynote address in The City of London for the first time, at the HAC. 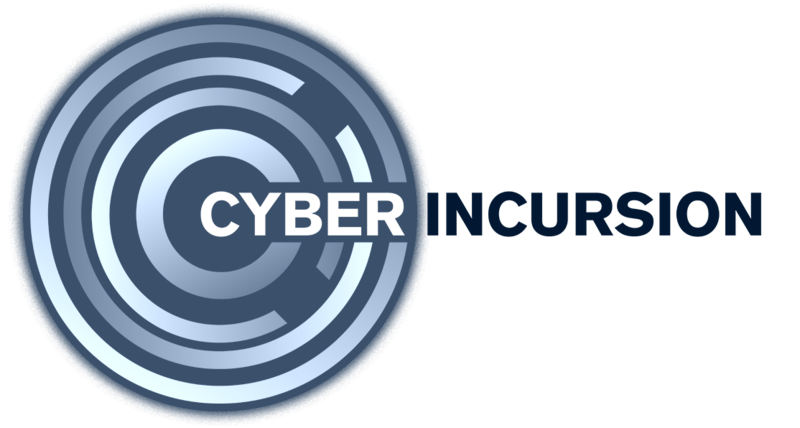 This affords delegates a unique opportunity to receive insight and understand the mindset of a Hacker and how organisations can improve their cyber awareness through better understanding of the risks associated with Social Engineering and Internal Risk Management. We will also explore ways in which the UK can help fill the skills gap in the cyber-security marketplace. 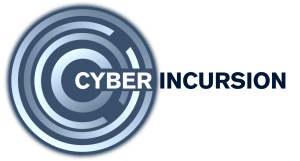 We will provide a series of insights for delegates that will help them to improve their current Risk Strategies, regarding both cyber and physical security. Registration will start at 11.30 with a light lunch, refreshments and networking, with the event due to open at 12.15. Presentations will conclude at 17.30 and be followed by a drinks reception until 19.30. The event will be chaired by Jon Cosson, Head of IT and CISO, JM Finn. Please note that no video recording, audio recording or photography will be permitted by delegates at this event. Anyone found recording or photographing the event will be requested to leave the premises and will not be entitled to a refund. As JM Finn Head of IT and CISO, Jon Cosson has more than 30 Years’ experience in the IT Industry. Jon has directed the IT department for JM Finn, an established wealth management organisation for more than 19 years. Jon is a technical leader and security specialist with extensive experience delivering transformative security solutions. He has a passion for IT Security and is risk focused, understanding the bigger picture, delivering secure business objectives through a grasp of broad industry trends and new technologies. Jon holds numerous industry recognised cyber security certifications including CISSP, CISA, C|CISO and CEH. Jon has also just completed a masters degree in Cyber Security and plans to start a PHD in a related field next year. Jon is a regular speaker at cyber security events and through his extensive knowledge and passion, is able to address common cyber security concerns. As a one-of-a-kind, public speaker, Kevin’s presentations are akin to technology magic shows, which include live demonstrations of the latest hacking techniques that educate while keeping people on the edge of their seats to help raise “security awareness” of individuals and organisations worldwide. Professor Michael Mainelli FCCA FCSI FBCS, Executive Chairman, Z/Yen Group, a qualified accountant, securities professional, computer specialist, and management consultant, educated at Harvard University and Trinity College Dublin, Michael gained his PhD at London School of Economics where he was also a Visiting Professor. He began his career as a research scientist in aerospace & cartography. His biggest technical claim to fame might be the first commercial digital map of the world, MundoCart. He entered the City of London in 1984 ahead of Big Bang, becoming an accountancy-firm partner and later a director of Ministry of Defence research. During a spell in merchant banking, he co-founded Z/Yen in 1994, the City of London’s leading think-tank, to promote societal advance through better finance and technology. He has led Z/Yen from creating mutual distributed ledgers (aka blockchain technology) through Taskforce 2000, the Financial £aboratory, Long Finance & the London Accord, the Global Financial Centres Index, and the Global Intellectual Property Index. Over the years his clients have included virtually all major investment banks, as well as many exchanges, insurers, fund managers, regulators, and financial information providers. He is a non-executive director of two listed firms and a regulator, Alderman of the City of London for Broad Street, Emeritus Professor & Trustee at Gresham College, Fellow of Goodenough College, trustee of several charities, and Master of the Worshipful Company of World Traders. 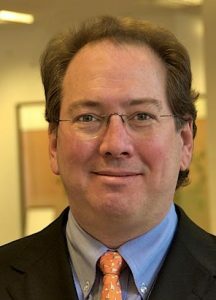 Michael has a deep computing background ranging from cryptography in the 1970s, to quantum computing and Information Technology Security Evaluation Criteria 3 standards in the 1990s. He was the British Computer Society Director of the Year 2004 and an Associate for the Oxford Martin School Global Cyber Security Capacity Centre in the 2010s. Z/Yen co-created and managed Taskforce 2000, the financial services response to the millennium bug, during the 1990s. Michael’s most recent cyber work was “Promoting UK Cyber Prosperity: Public-Private Cyber-Catastrophe Reinsurance” published by Long Finance and APM Group in July 2015. His current interests range from smart ledgers (aka blockchains), to surveillance, and identity systems. He has written numerous academic papers and his third book, The Price of Fish: A New Approach to Wicked Economics and Better Decisions, won the 2012 Independent Publisher Book Awards Finance, Investment & Economics Gold Prize. 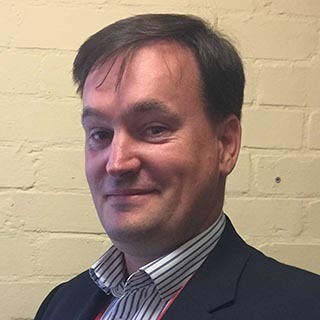 Gary Brailsford-Hart is the Director of Information and Chief Information Security Officer at the City of London Police and City of London Corporation. He is disciplined in HMG Information Assurance standards as well as being both a lead auditor and implementer for ISO27000. 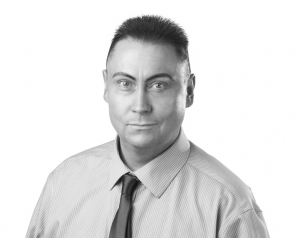 Gary is a member of the Institute of Information Security Professionals and a Certified Information Security Manager accredited by the Information Systems Audit and Control Association. 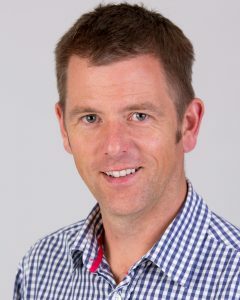 A career of more than twenty years in Policing has seen him move from enforcement to technical development and then into Information Assurance. His portfolio includes directing the information security requirements for the National Cybercrime Reporting Centre (Action Fraud) and the City of London Corporation, which affords a diverse and challenging opportunity to develop, implement and lead on a number of high profile initiatives. Gary also performs the role of privacy advocate and is the GDPR Article 39 Data Protection Officer for the City of London Police. In addition to his local duties Gary is also the Chair for the National Police Information Assurance Group where matters of national importance and impact are discussed and agreed across policing. Josh has more than a decade’s experience as an information security researcher. He has presented his research at leading security industry events and authored numerous technical documents on his findings. 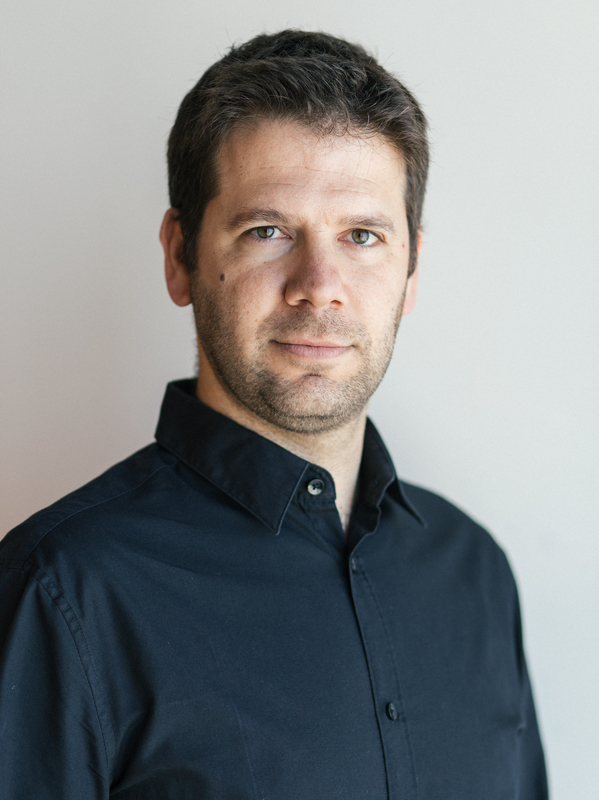 He works with Nuix’s internal and external application security teams to provide reverse engineering, tool development, secure architecture, and vulnerability assessment services. He has authored numerous technical documents and presented his findings at conferences, academic discussions, and in the classroom. Josh is an expert at discovering and exploiting vulnerabilities and writing code to protect operating systems and programs. He holds patents in classifying computer files and executable files as malware or whiteware. 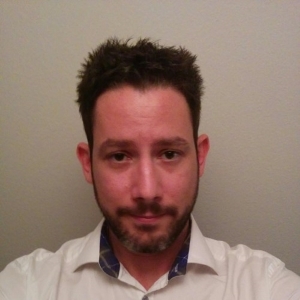 Josh has served in the United States Air Force and held numerous defence contracting roles covering electronic signals intelligence exploitation, electronic warfare, malware analysis, exploit development, and reverse engineering. He also assisted multiple computer emergency response teams with investigations vital to national security. Lotem Guy, Senior Director of Cyber Security in Cybereason, is an expert in the fields of hacking operations, forensics, reverse engineering, malware analysis, cryptography & evasion. Lotem joined Cybereason’s Founding Team as a senior developer to build Cybereason Hunting Engine, lead Cybereason’s Security Research and Development team, and initiated Cybereason Proactive Hunting activities. Previously to Cybereason, Lotem served in unit 8200 of the Israeli Intelligence Corps as a commander of a Cyber Security team. Lotem holds a master’s degree in Computational Biology and Machine Learning from the Hebrew University in Jerusalem.